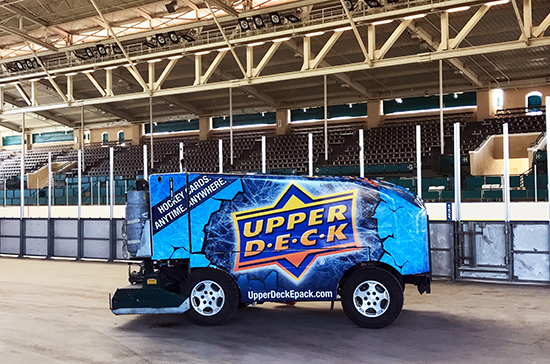 Gather your friends and family and join Upper Deck as we welcome Frozen Fairgrounds to San Diego on December 15-31 at the Del Mar Fairgrounds! 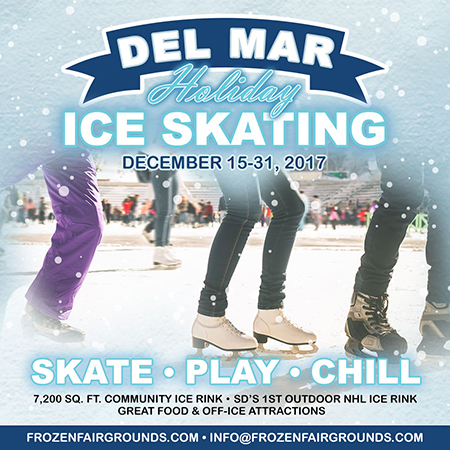 With San Diego’s biggest ice skating rink open to the public, it will be easy to get into the holiday spirit when lacing up those skates and gliding out on the ice. 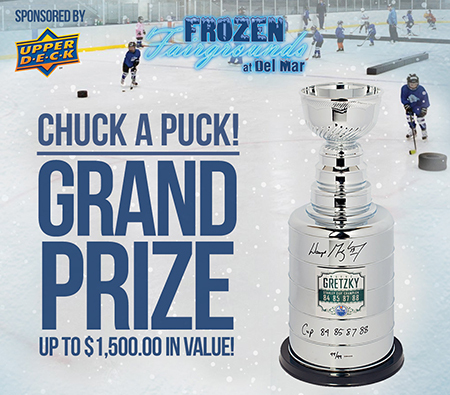 If you’re more of a spectator, the professional sized hockey rink will host the Golden State Hockey Rush Tournament, which promises plenty of great action. 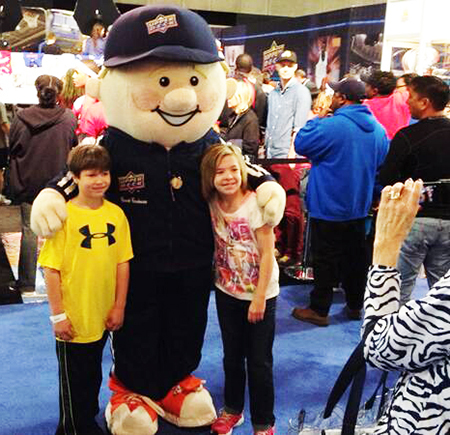 You are guaranteed to get your family fun and hockey fix all in one place! 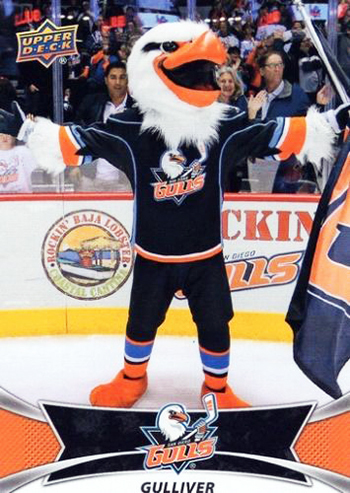 Upper Deck, along with our mascot Coach Cardman, will be at Frozen Fairgrounds throughout both weekends and Wednesday, December 20 for the San Diego Gulls public skate night. Fans will be able to meet and skate with their favorite Gulls players! 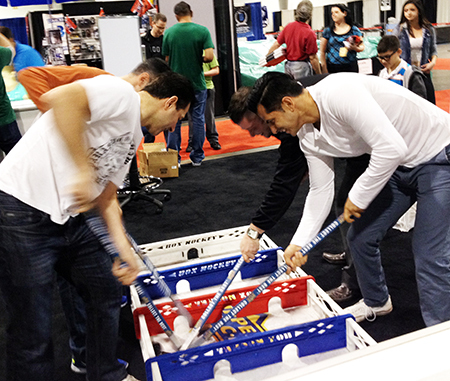 Make sure to hang out at the Upper Deck booth and take pictures in our giant life sized hockey cards, take part in box hockey and join in on the fun of “Pack Wars.” Don’t forget to practice your puck tossing because with Chuck-a-Puck you have the opportunity to score the ultimate prize; a Wayne Gretzky signed & inscribed Replica Stanley Cup Trophy! 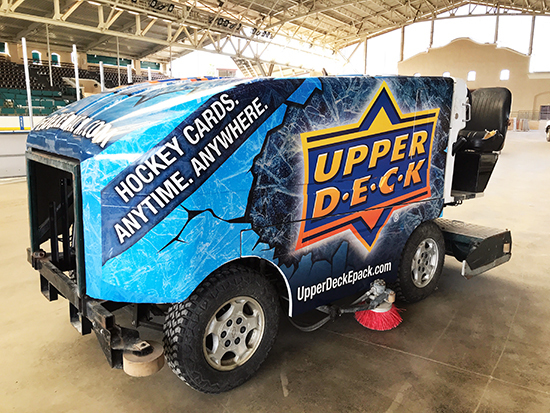 Keep your eyes open during intermissions or breaks because there’s a stunning new vehicle hitting the ice; the Upper Deck Zamboni! We hope to see you there! 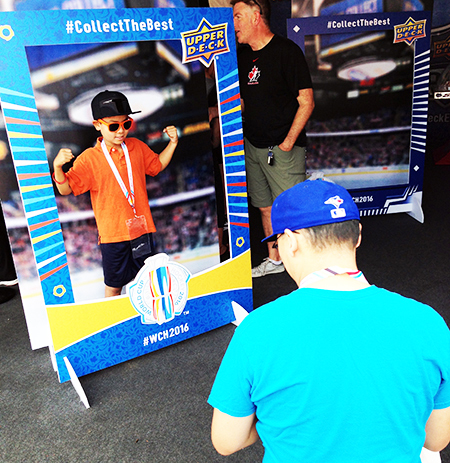 Make sure to tag Upper Deck if you’re there and use the hashtags #CollectTheBest and #FrozenFairgrounds so we can share some of the fun!